led to the AMG. Upon delivery of the first Generator at the designated location, it became clear after a briefing between the producing manager of the ORF an the chief technician of the AMG, that the requirements had changed. The task force team of the AMG responsed quickly and highly flexible. Nevertheless, the preparations for the broadcasting of the major event could be sucessfully carried out without delay. For the immaculate group photo of the 28 heads of state and government in the garden of the Mirabell Palace, an additional power generator for the large flash system of the photographers was also replenished in the course of preparations, by AMG. 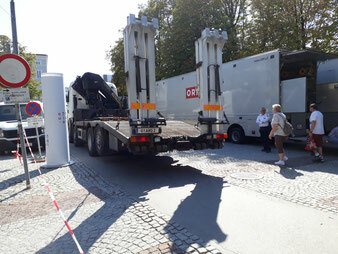 The prompt response of AMG Miete to the new requirements and rapid processing is, as the special Summit in Salzburg has once again shown, the result of high solutions and great customer competence of AMG Miete and the good cooperation between ORF, the Federal Chancellery and the task force of AMG Miete. For example, in a brief conversation between ORF and the technician of AMG Miete, an additional Generator was ordered for the group photo of the 28 heads of state and government in the Orangerie in the garden of the Mirabell Palace. After a short time the generator was on the way to Salzburg. In time, a 100% preparation for the group photo could be ensured in this case as well. Contrary to the original requirement when the first unit was delivered it quickly became clear that, due to the Europe-wide transmission , the 100% reliability of the power supply had to be guarenteed. 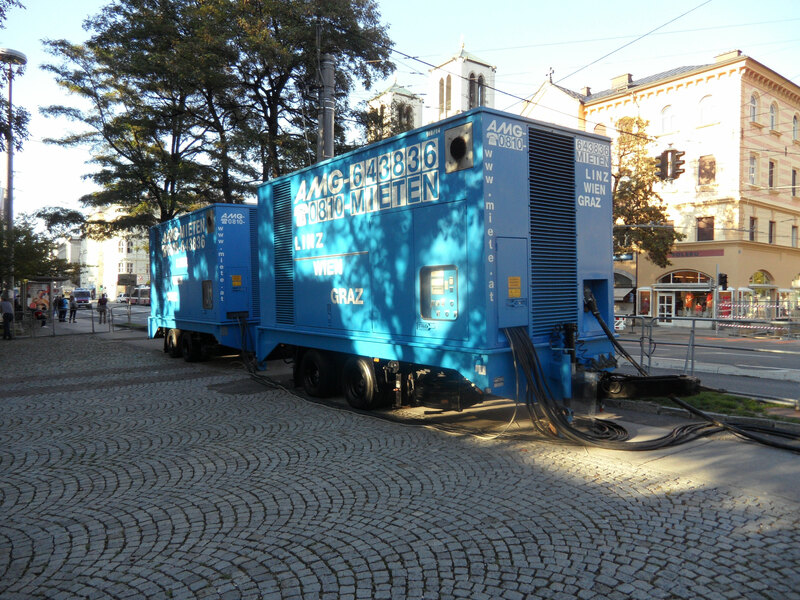 So it was the wish of the ORF, that the same time two generators take over the power supply and are thereby switched redundantly. This ensured that even one unit fails, the secon unit will take over the power supply without the users noticing it. The task force team under Teamleader Mr. Schoeberl responded promptly. Without further ado, the requested 1.000 KVA were converted to 2 units of 500 KVA each synchronously and with 24 hours of continous operation, without any delay in the process of preparing for the EU Special Summit.